I’ve been to many over the course of multiple summers, and it’s remarkable to see friends and neighbors come together to celebrate and have fun, and to meet the entire family together. 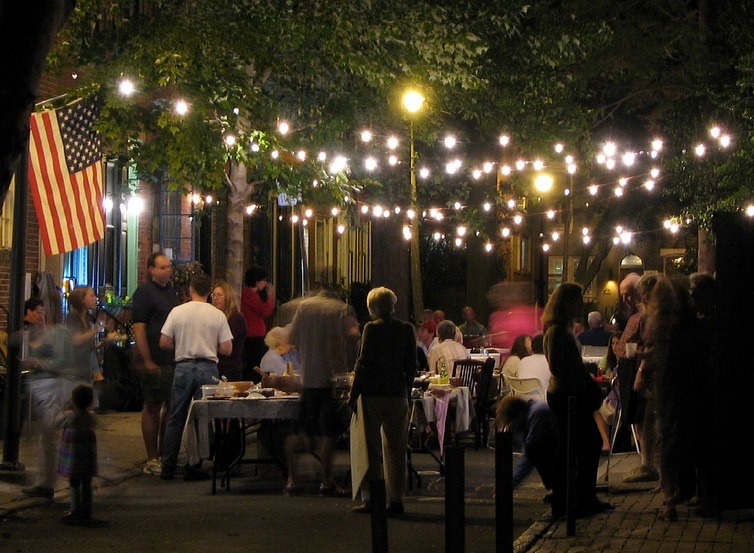 In the course of our day-to-day lives, we really don’t know much about each other or even know who everybody is; occasions where the community gathers are opportunities to interact and remedy that unfamiliarity. Likewise in the virtual world, we are part of communities that are just as real, despite the fact that they are artificial constructs of the Internet and various software applications that allow us to interact in specific ways. Twitter is not like Reddit. And Reddit is not like XRPChat. Each of these networks and software applications may narrow the interactions that we experience, but altogether they comprise a community of like-minded individuals, no matter if your preferred tool is Discord, Quora, or Slack. While contributing to each of these forums, I encounter news of applications and tools that are being created by individuals or groups. Because Ripple (the company) is not directly responsible for some of these items, I loosely categorize them under the heading of “community initiatives” even in the case of one individual contributing a new application or tool. It’s worth taking a minute to note some of these recent developments and take stock of how much effort it takes to create some of these additions to the XRP ecosystem. I separate out applications from the other two frequently-contributed categories of “wallets” and “exchanges”. In this category are some very impactful contributions by one developer in particular: @WietseWind (Twitter handle). Find a post that you like. Reply to that post. In the reply, make sure to type: +1 /u/xrptipbot. Or on Twitter or Discord: +1 @xrptipbot. The concept of the tip bot is simple: There is a website devoted to showing balances for specific people, and those people that receive tips can register and withdraw their tips if they’d like. The tip bot is very intuitive – no registration is necessary; the application uses the standard authentication available through Reddit, Discord, or Twitter. The user merely agrees to log into those individual applications and voila! Their account is set up and ready to go. All they need is a positive balance of XRP and they can begin tipping. 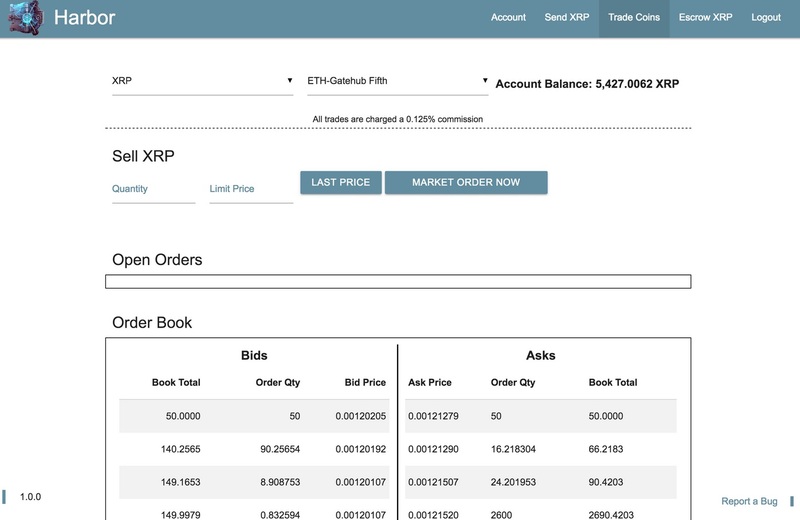 A user can add to their XRP balance manually if they’d like to start tipping right away – it’s up to the user. I don’t have a great dev-ops background, but I know enough about Docker to appreciate how it simplifies deployments for complex web-based applications. The concept is intuitive, and targets platform independence, which is a concept that has been driving a lot of innovations in technology as humanity progresses further into the post-Internet age. The idea behind Docker is that if you can run the Docker software, no matter your environment or operating system, then you can deploy a docker-ized version of the software that you’re interested in using. Platform independence provided by Docker means that I could easily purchase a computer with the minimum capabilities, and then focus on deploying the Docker-ized version of Rippled that @WietseWind created. Some popular XRP wallets have been created in the past five years, and other new entrants have seen their debut as well. I recently took a poll on XRP Chat about which wallets users prefer. XRPChat provides the ability to create a poll to gauge the community’s support for various ideas, news stories, and other developments. I created one as an update to the poll I took last October about favorite wallets. The winner, by a large margin, was the Ledger Wallet (Nano). The surprising second place finisher was “an exchange wallet”, and then the third and fourth-place finishers were Rippex and Toast Wallet, respectively. Not many people said they use one of the other types. These results provide a snapshot of current adoption of specific wallets, and indicate that there is room for competition. And that’s good news, because I know of at least two wallets that are going to be published soon – both of which I’ll mention here. Perhaps you’re familiar with “Reservoir Lite,” which made the escrow function of the XRP Ledger available to the public for a fee. The same company that created Reservoir Lite created the Harbor Wallet. It boasts two things that the company considers to be significant departures from some other popular wallets: It contains the escrow functionality, and it also points to servers hosted by the company (Secure Block Chains). This last part is something that the company believes will give it a leg up on other wallets that simply point their application to Ripple’s public servers; they believe that during periods of heavy usage, these public servers are inundated and respond too slowly. To address this, Secure Block Chains has chosen to host and run their own Ripple server. “There’s was a new “desktop XRP wallet” released over the weekend and it’s called Harbor. Like most other desktop wallets, you can store XRP and manage everyday XRP transactions with it. It also allows you to connect with the most popular crypto exchanges like Bitstamp and trade XRP for other coins without leaving the wallet. You aren’t even required to have an account on the exchange to trade their tokens, account setup is only required if you choose to cash out for fiat using the exchange site. The trading fee in the wallet cuts trading fees in half or more compared to setting up an account on most online exchanges and placing the same trade on their site. The new XRP wallet was created by SBC, the guys who developed the “XRP Escrow service Reservoir Lite”. Of course, the same functionality is integrated into Harbor wallet. 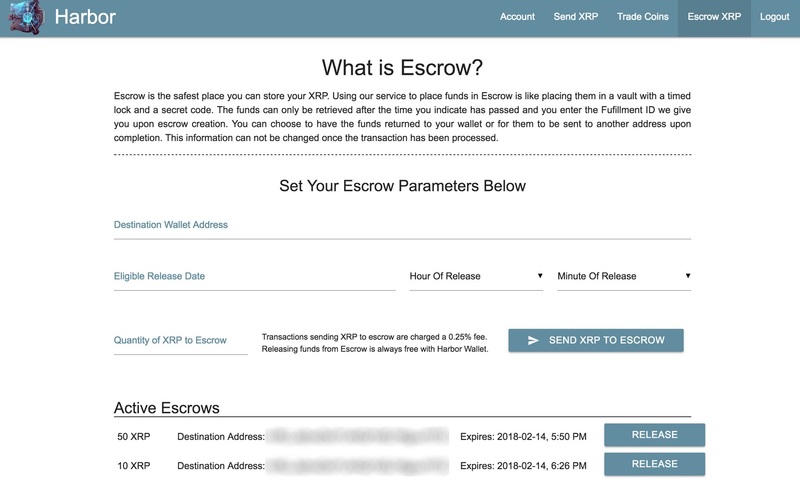 Users can pick an expiration date and send their XRP to escrow which essentially is locking it in an impenetrable vault directly on the XRP Ledger. Aside from some interesting features, The thing that seems to set this wallet apart from the rest of the desktop XRP wallets is (the) creation of a series of private Rippled servers just for processing the transactions of customers, instead of using Ripple’s public development node. How much of an improvement is it? During periods of time where there is very little market volatility, the wallet is notability faster than others. During times of heavy trading, Harbor wallet suffers no speed degradation. Remember the developer that created the XRP Tip Bot.. and the Ripple Docker container? Yeah... he's developed something more; a wallet with some impressive capabilities, including a feature that will support a redundant connection to the Ripple network just in case there are high-volume usage situations for the default server. He's planning on publishing this code open-source to support others that might want to use this technique or approach. It's not complete yet, but stay tuned for another wallet joining the XRP ecosystem. Unfortunately, the concept of “FUD fighting” is now a standard part of existing in the crypto landscape. When new ICOs are formed in 2018, I predict that you will see some category of the business plan deal specifically with social media, and actually call attention to line item(s) to budget time and resources for maintaining and correcting information. FUD stands for “fear, uncertainty, and doubt,” and when it’s used in relation to crypto, it usually indicates an invalid source for that emotion. It’s a negative emotion that can cause investors to sell their investment. Each of the digital assets that are currently in the crypto market space must address these misconceptions as a normal part of operations; to pretend that FUD will not occur is to fail to plan. When it comes to XRP, there are a group of volunteers that have been addressing misconceptions about Ripple technology, Ripple business plans, and XRP. These individuals have shown a willingness to correct misinformation about XRP and Ripple, and are consistent in their message across social media. But Twitter is not the only battle ground when it comes to FUD about XRP and Ripple; there are many on Reddit and XRPChat, as well as Discord, Facebook, and other platforms that are also showing leadership. 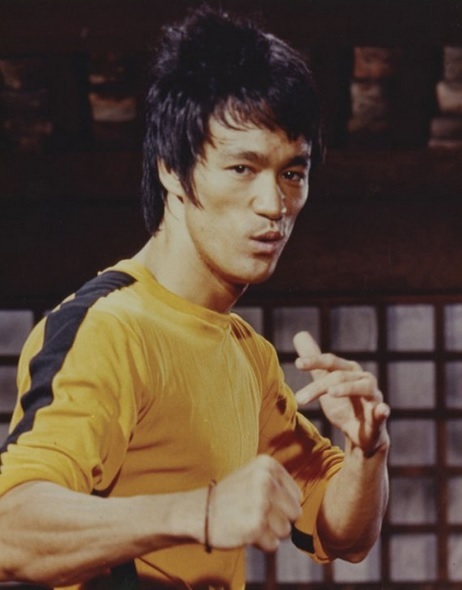 Fighting FUD is not an activity that is “one battle and done.” Instead, it’s a constant war that will not end as long as there are people in crypto with a win-lose mentality about investment resources. Each crypto choice is trying to capture investment money, and for the most part, most of us do it the legitimate way – by discussing the merits of our investment – XRP – and the company that’s championing its adoption: Ripple. But there exists in the crypto space a certain type of individual that instead views things more negatively and tries to defame specific choices in an effort to capture more investment for their own preferred coin. Am I guilty of this? One could make the argument, but there is a key difference between when I talk about Bitcoin and Ethereum, and other FUD: There is a difference between sticking to the facts and using poetic license (a.k.a. telling lies). I stick to the facts, and will make every effort to correct any misrepresentation. Not everybody does, however, and for those occasions it’s nice to see members of the XRP Army willing to take up the banner. When I see this type of activity, I try to recognize it and call it out; and thanks to the XRP Tip Bot, now I can actually tip others. Even if you’re not into tipping, just be aware that a ‘thank you’ can mean the world to individuals on social media that are expending their own energy to help defend Ripple or XRP. It’s always rewarding to see XRP fans try their hand at impacting social media in their own way, whether it’s through twitter, blogging, or even creating videos on YouTube. Recently there have been several additions to the social media presence of the XRP community. While Crypto Club is an existing YouTuber, the fact that he chose to cover XRP after learning about Bankera’s official statement about using XRP is an interesting twist. As 2018 moves forward, many former skeptics – or even traders that used to be completely agnostic – are beginning to be stronger and stronger XRP fans. It’s no surprise given the nonstop stream of good news regarding Ripple software adoption. While we’re becoming accustomed to hearing about a new bank every couple days joining RippleNet, this latest addition is worth noting as it qualifies as an “innovator” bank that is forging its way into the new territory of blockchain finance. No doubt this bank – Bankera – will become a favorite bank of its early investors, as well as a popular bank for many in crypto. If Bankera ends up using xRapid, count me in as a customer! In my strong opinion, XRP Investors need to make it clear to banks that we will support organizations that support XRP (and hence use xRapid). One of the most popular individuals from Ripple on social media is JoelKatz. Ripple’s Chief Cryptographer has been a consistent presence on social media for XRP investors, and he’s usually ready to clarify any misunderstandings about the XRP Ledger or Ripple technology in general, as well as comment about cryptography-related news. 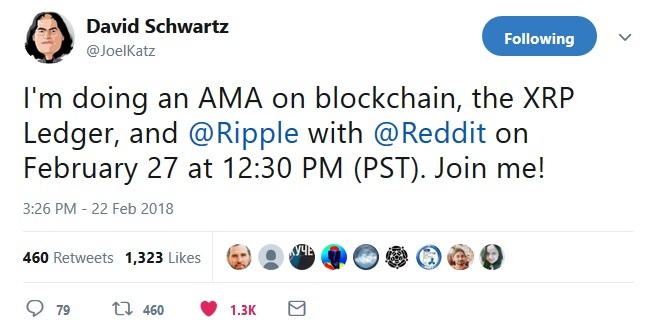 Naturally, the XRP fan base is excited that he’s decided to conduct an AMA (Ask Me Anything) for February 27th (next Tuesday). "Two Days to Two Seconds"
If you missed the article, you should really slow down and take a look. This article heralds the beginning of Ripple’s takeover of banking, and the end of SWIFT. The article with this headline discusses the experience of SEB – the Swedish bank that was an early adopter of Ripple technology, and whose representatives participated in panel discussion(s) at SWELL in 2017. In the article, the head of “Transaction Services” at SEB, Paula da Silva, talked about how normal transaction times between the US and Sweden were reduced from multiple days’ settlement to two seconds using Ripple technology. The article will most likely prove to be instrumental in other banks quickly signing up to use Ripple technology to replace their aging SWIFT infrastructure; banks’ reluctance will slowly be overcome by testimony from other banks like what we’ve seen here. In the United States, individual accomplishments are highly prized and valued. In fact, a big part of our culture in the West centers on the concept of a “hero” who is willing to put the needs of the group ahead of their own goals or concerns. It’s prevalent in sports, and in business as well. 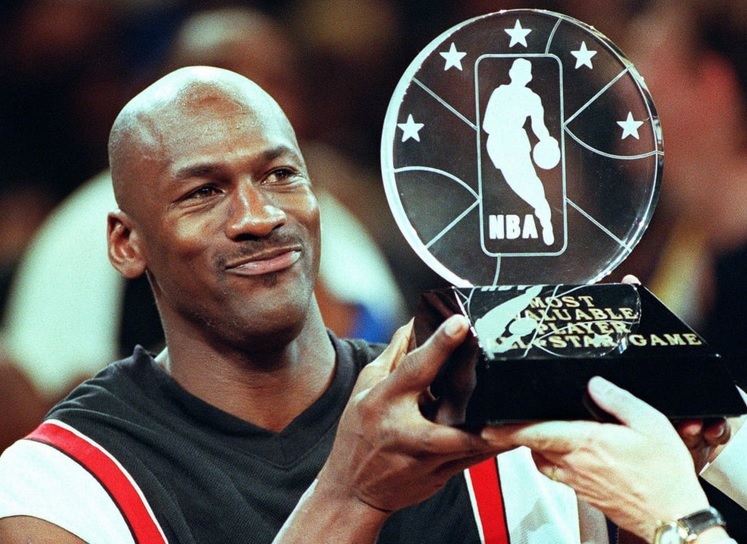 Who doesn’t recognize household names like Michael Jordan or Elon Musk? But here’s a secret: an active community can conquer all. While one individual may be able to provide some outstanding contributions – I’m thinking of the likes of JoelKatz when I say this – the community can accomplish incredible things as well, usually with less effort than what would be required of an individual. When it comes to XRP adoption, we are over a million strong in the XRP Army,7 and if each one of us champions the technology and educates others, it will catch on at a geometric rate until the entire globe runs on Ripple technology. You don’t have to be as knowledgeable as a cryptography expert to make a difference: Pick your favorite social media and contribute one response per day to educating others. We all have our gifts; I hope you choose to use yours to build a bigger and stronger community of XRP fans and supporters.